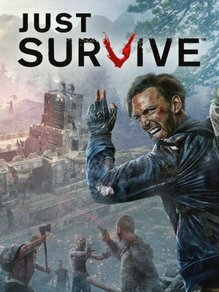 Just Survive is a post-apocalyptic survival game where you scavenge for supplies and build Strongholds to protect against dangers, both living and undead, that lurk around every corner. Though the great outbreak has passed, the undead still linger in great numbers. Stay alert and quiet to avoid attracting them, and be prepared to either run or fight for your life at a moment’ss notice. Numerous survivors are looking to resettle Badwater Canyon &ndash; but not everyone is interested in working together. Approach each encounter with caution, because if there&rsquo;s anything more dangerous than a ravenous zombie it’s another human being. Wildlife that was fast or strong enough to survive the undead have grown in number during the aftermath of human civilization. While they serve as an excellent source of protein and crafting materials, animals like bears and wolves are hardly easy prey. The landscape is littered with the belongings of those who failed to escape the swelling tide of undead. Everything has value in this new world, whether for scrap or a few Gold Eagle Coins, so it&rsquo;s wise to pick up whatever you can find. The days of shopping at the mall are long gone. You&rsquo;ll need to craft survival items, using whatever you can find in the world. Anything from bandages to blackberry pie can be assembled with the proper ingredients, so get to crafting! Supply Officers at Military Bases are eager to dole out Gold Eagle Coins in exchange for what you scavenge in Badwater Canyon. Those coins are key to unlocking a number of valuable commodities such as Stronghold Deeds.